Do you have great idea you want to work on with ? Do you want to become entrepreneur ? 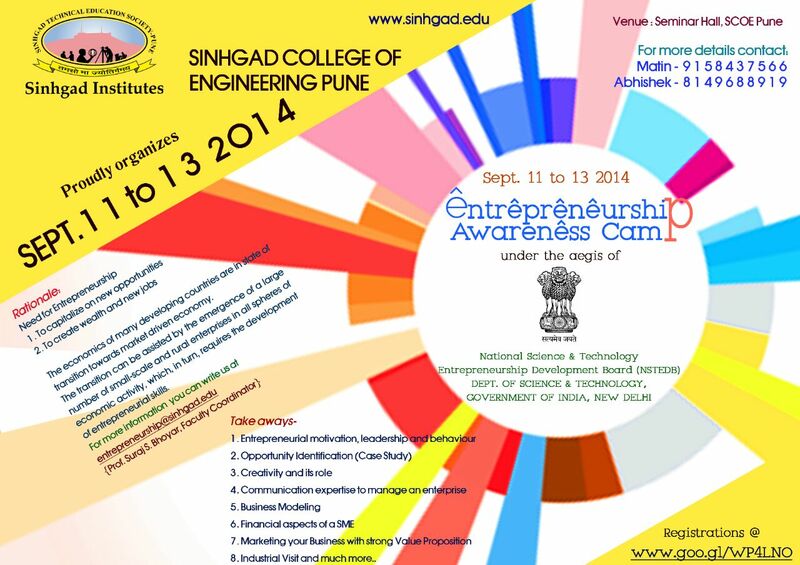 The 3 day EAC (ENTREPRENEURSHIP AWARENESS CAMP 2014) at Sinhgad College of Engineering , Vadgaon (BK),Pune. Please refer the attachements for details about the workshop. "One thing is for sure , If u do this workshop for a single time you will realise the true potential in yourself."